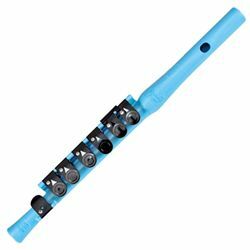 The Guo Shining Piper Fife is a great first instrument for any child who wants to play flute when they are old enough to be in school band. Made from the same material as the Guo New Voice Flutes, these fifes are both durable and sound great. Whether you have a small child looking to get started or just want something small to take with you all the time, the Shining Piper is the fife of choice.